2WDW Holiday Sale Available Now! Attention riders! To show how thankful we are for our supporters and fan base, 2 Wheel DynoWorks is having a Holiday sale special!! Specific ECU flashes, listed below, are on special for $279.99, including 2-day return shipping to the continental US. Just $279.99 on all available flashes!! This includes your full custom built fuel maps, custom ignition maps, full custom throttle maps, full custom secondary throttle maps, removed restrictions, removal of speed limiter(where applicable), lower fan temperatures(when available), fuel cut removal, Autpblipper (when available) quickshifter activation (when available), and more! ECU flash must be paid for by Midnight on Sunday 12/31/17. Payment can be made with credit card over the phone, or through PayPal to 2wheeldynoworks@gmail.com. ECU's can be shipped in at your convenience. 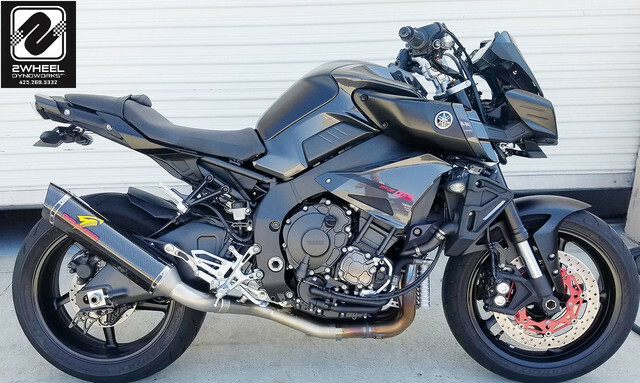 All orders must include contact information, return shipping address, year, make, & model of your bike, as well as a complete list of modifications. If you have any specific questions, please email us before shipping your ECU to make sure they are all answered properly. If you are local, FREE removal and installation of ECUs for flashing! Our new website is a work in progress and we will be able to help with all your questions. We are expecting high volume so please leave messages if we don't answer. We will call you right back. All ECU flashes are specific to your modifications and can be adjusted to customer request. Please feel free to call or email with any questions. We have hundreds of dyno, track and street proven tune files for nearly all modifications! Turn around time is same day with free 2 day return shipping. Out of country ECUs apply to this offer but shipping charges apply. Average out of US shipping with insurance and tracking is $65 extra. We also have 2WDW gift cards! If you have a someone that wants a tune in the future, you can purchase ECU flash gift cards with Holiday sale prices or dyno tune gift cards for $190 valued at $229. Or Victory and Harley individual cylinder tunes for $249 valued at $279! Please ask specific questions.